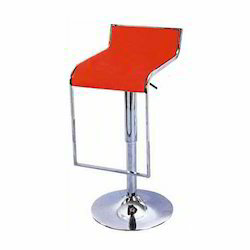 We are a leading Supplier & Manufacturer of Bar Furniture such as Bar Chairs, Revolving Bar Chairs, Leather Bar Chairs, Stainless Steel Bar Chairs and High Length Bar Chairs from India. We are instrumental in making our clients happy and for that matter, we are engaged in offering them a broad gamut of Stainless Steel Bar Chairs that are designed very creatively by professional carpenters who garnered vast domain expertise. 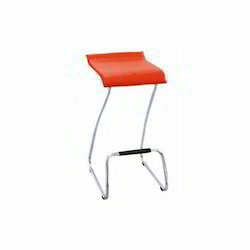 Due to this, our stool is very comfortable to use and provide long time service are available in the market at very reasonable price. 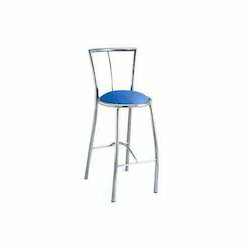 We hold expertise in manufacturing and supplying High Length Bar Chairs. The products we provided are widely appreciated and demanded in the market. These products are manufactured by experienced professional, making use of latest tools and machinery. The stainless steel and fabrics required to design these products are all procured from the most authorized and trusted vendors in business. These chairs are designed keeping in mind the industry laid parameters and norms. 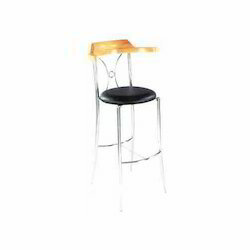 We have been working very delicately in order to fulfill the expectations of our wide number of clients belonging to different parts of the country and accordingly provide them an excellent 'range of Leather Bar Chairs This range is available in varied sizes and specifications at very affordable prices. 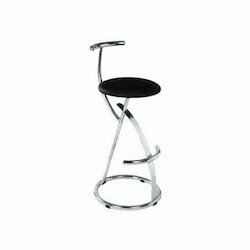 Our organization is instrumental in providing Bar Chairs. These products are manufactured making use of stainless steel and other materials, obtained from the most reliable vendors in business. We have a team of qualified workers who precisely design these products, making it highly comfortable and long lasting. These products are available in various sizes and designs for the specific requirements of our esteemed clients. 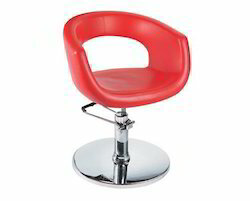 We are able to cater the needs of our valued clients by offering Revolving Bar Chairs. These chairs are manufactured using high-grade steel and other materials procured from the most trusted vendors in the industry. Our highly skilled workforce make use of advanced tools and machinery for manufacturing these products. These furniture is able to hold huge weight and is highly comfortable.